Hello lovers, hope your Sunday is snuggly and cuddly. I'm here to introduce you to one of the latest designs I launched for pico. I called it the NAZAR, which is an eye shaped amulet said to protect against the evil eye. 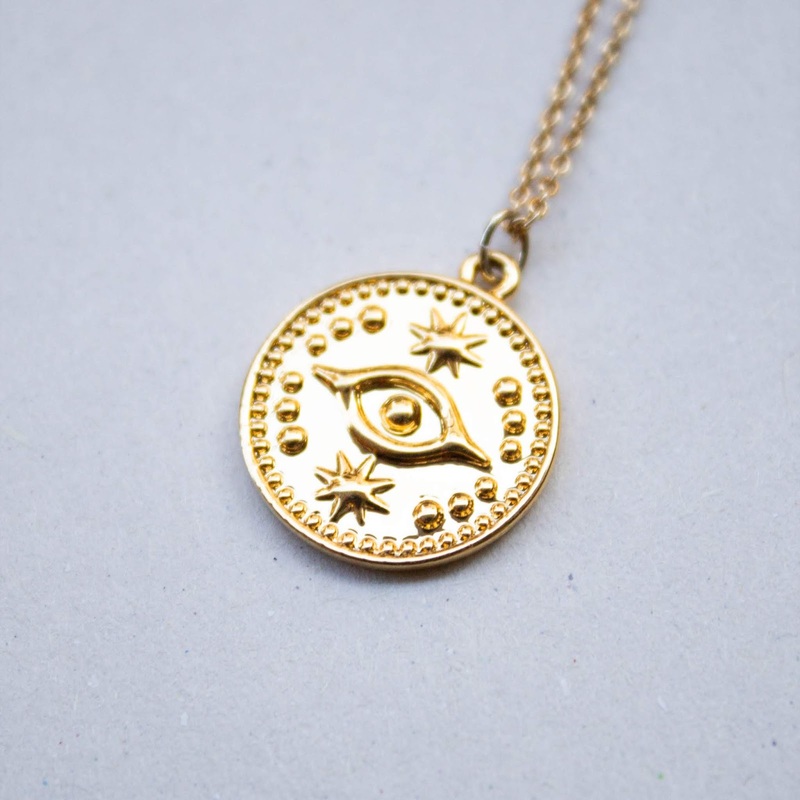 In essense it's a coin necklace that will cast off evil vibes. It's made out of brass and plated in luxurious 16K gold. The chain measures 19" with a 2" extender so you can adjust to your needs. 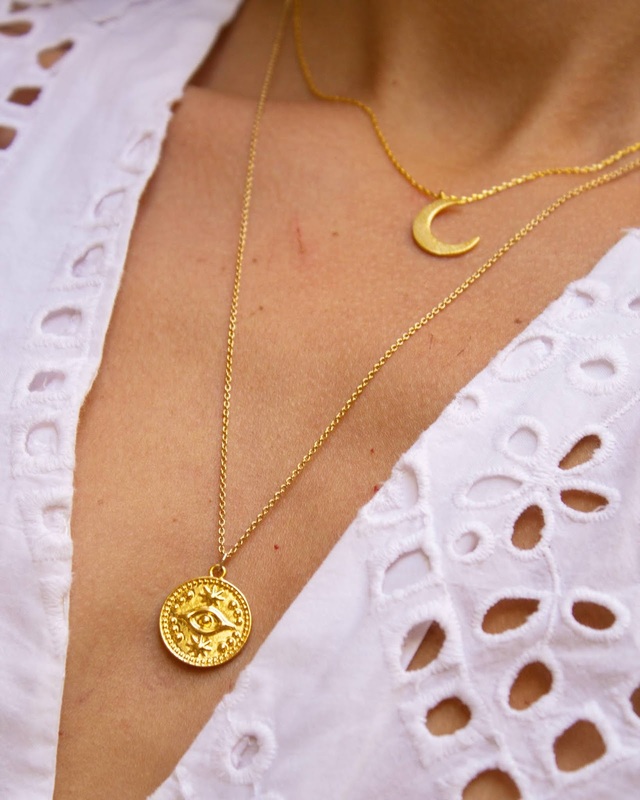 It would look perfect layered with other little necklaces, below I have worn it with the newly launched MOON necklace in gold. shop the NAZAR necklace here.